Niobium Sulfur Tin Zinc Oxide. 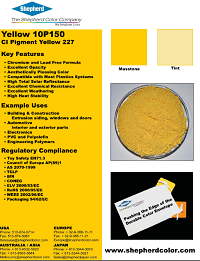 It is a chromatic yellow inorganic pigment produced by high temperature calcination. Has excellent UV and visible opacity, is chemically inert, heat resistant, stable to ultraviolet light. It is non-bleeding and non-migratory. It has exceptional durability, hiding power, and is generally used in applications where resistance to heat, light, weather are needed. It is compatible with most resin systems, polymers, and is non-warping. 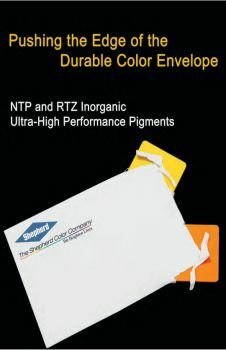 Typical applications (non inclusive) are plastics and other applications where equivalent pigment chemistry is used.